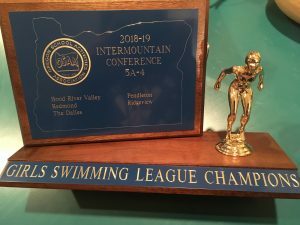 Boys Varsity Swimming, Girls Varsity Swimming · Feb 9 Girls Swimming 2019 Intermountain Conference Champions! 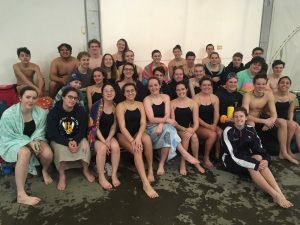 The boys and girls swim team competed in the competitive Intermountain Conference today. Congratulations to the girls team for coming out on top and winning their conference! The HRV boys placed third overall. 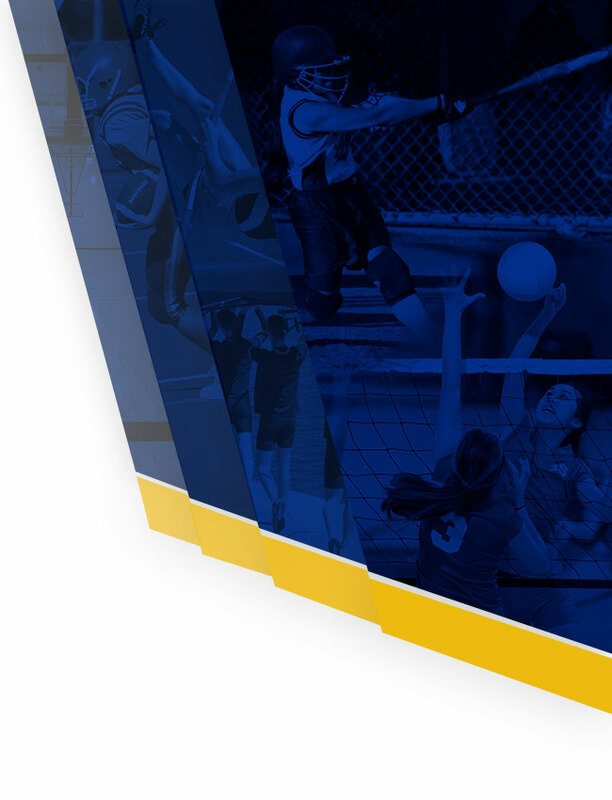 Wins in any event are automatic qualifiers for the state meet, and the wildcard spots for the remaining places will be determined by the end of the weekend. Currently the girls team has 5 swimmers who have qualified for the State Meet. Sarah Arpag, Celilo Brun, Madaket Greenleaf, Faith Ocheskey and Lillie Tomlinson. 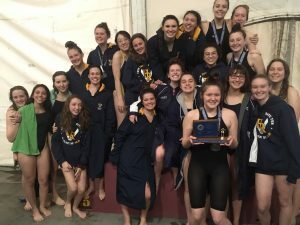 The girls took home the title, led by Faith with wins in the 50 and 100 freestyle events, and Sarah who had dual wins in both the 100 fly and 100 backstroke, and both were on the winning 200 medley and 400 freestyle relays. Celilo took first in the 200 IM and was on the 200 medley and 400 free relays. Madaket swam fly for the medley relay, and Lillie swam on the 400 freestyle relay. The boys were led by senior Chad Klaas, who won both the 50 free and 100 fly. 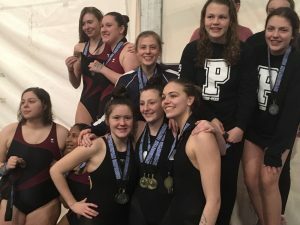 He earned a state berth for those two swims, and he was also on the state qualifying 200 free relay with Luke Southall, Owen Summersett, David Hecksel. These four also won the 400 free relay. 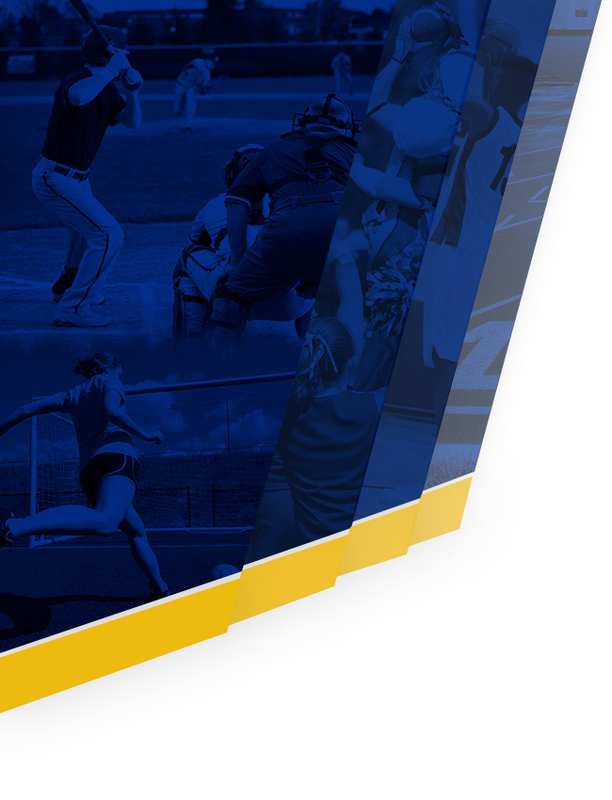 Enjoy these photos for the day!